In anticipation of the new iPhone launch for Fall 2015, Sprint has updated its wireless rate plans and and phone purchase programs. This article will help you determine the true cost of leasing or purchasing a phone from Sprint. By the time you are done, you will know what works best for you whether you like to upgrade frequently or are looking for an affordable family plan. If you are already familiar with the current Sprint options, we suggest you jump right to the "Two Year Cost of Ownership" section. That will help you make your final decision. What If I Am Under Contract With Another Carrier? Easy Pay - Sprint's pay in installments purchase program. Depending on which option you choose, it will have a big impact on both your upfront cost, monthly data cost, and overall cost for 2 years of ownership. What we will do is review each of the options and data plans available, whether you are buying an individual data plan or a family share plan. And we will also compare the 2 year cost of ownership for both individual users and families. The Sprint leasing program currently offers their "Forever"​ or "iPhone Forever" program (depending on your phone of choice). Essentially, if you lease an iPhone or popular Samsung phone, you can upgrade to the newest model whenever it comes out, without penalties or fees. Yes, this does means you can switch to Sprint today (August 31st), lease an iPhone 6, and upgrade to the new iPhone 6s when it comes out. Without any sort of extra fees! Hint: you can stop here and shop Sprint's leasing program, because it offers the cheapest two year cost of ownership option, regardless of which carrier you choose. Big Update from Sprint: You can now lease an iPhone 6S for as low as $1/mo if you trade in an iPhone 6. Or as low as $15/mo by trading in any other smartphone. Otherwise, just $22/month for an iPhone 6S. Easy Pay is Sprint's variation of AT&T Next (read our review) and the Verizon Plan (read our review). You are still required to enter into a 24 month contract, and you pay the full purchase price of your phone over the life of the contract. You will also be required to pay the full sales tax upfront. This is the traditional deal offered by wireless carriers. 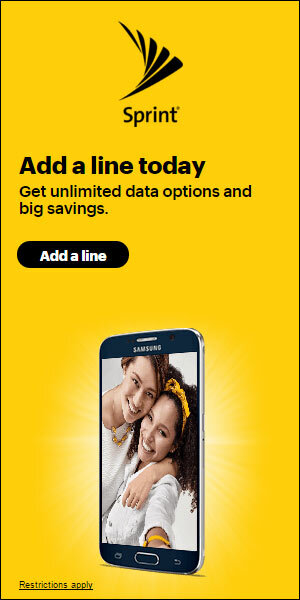 You will pay Sprint a portion of the phones purchase price upfront, enter into a 2-year contract, and then pay a little extra for your data each money. Carriers are trying to get consumers to move away from this model. And they are doing it by making the pricing for this model unfavorable compared to other ones. If you want to pay for your phone in full upfront, you get one major benefit: you do not need to enter into a contract. Previously, this was the way to go if you loved to update your phone frequently. However, the numbers show that, if you like to upgrade every year, you will better off with a lease and enjoying the "forever" upgrade advantage. ​However, you can check out our review of Sprint Prepaid Plans here. While this article uses the 16GB iPhone as an example for pricing purposes, Sprint has a wide variety of the latest smartphones available, whether you are looking for Samsung, Android, or Apple iPhones. If you are looking to save a little money, you also will find some good pricing on refurbished recent model ​smartphones. All Sprint plans discussed in this article involve unlimited talk and text. The only difference is how much data you share with a Sprint Family Plan. Sprint only offers one data plan for individuals - it's $60 unlimited high-speed data, talk and text plan. Please note the cost of your data will be higher if you do not choose a Lease or Easy Pay phone. This is depicted in the Two Year Cost of Ownership below. With the shared data packs available from Sprint, things get complicated. Not only do you have to choose between the amount of data you want, you also need to take into account the per device access charge that may apply, depending on the family share plan you choose. And, on top of that, the monthly cost of your ​data will also be higher if you do not choose to lease your phone or buy it with Easy Pay. From our point of view, the pricing for the 10 GB plan seems to offer a sweet spot. After all, the access costs discourage you from taking a 4 GB or 8 GB family plan. So we will use the 10 GB plan in deterring our 2-Year Cost of Ownership with Sprint. Family share plan with 10 GB of data and two new 16 GB iPhones. We are limiting our discussion of new phone pricing to the cost for the latest 16GB iPhone. Pricing for other current, popular models will be similar. And, of course, pricing varies by storage. However, the popularity of the iPhone makes it a good choice as our base model for this discussion. Also note that current lease pricing for the 16 GB iPhone is $15/month, if you trade in an older smartphone. However, this promotional offer without a trade-in is $22/month. Also, we do not take into account the benefit of being able to sell your phone. This is because if you sell a phone, you will need to turn around and spend more on a new one. With a lease, you will actually be on your third phone by the time buyers are done with selling and buying a new one. You will notice that the savings from leasing with Sprint are greater than the re-sale value of our hypothetical phone (approximately $200) after two years. The subsidized plans are clearly the most expensive on an individual basis. And for family plans you get penalized for buying multiple phones. Regardless, if you own your phone at the end of 2 years, you do not achieve any real benefit when you can lease it for much less and upgrade every time a new model comes out. The benefit of owning the phone is you can use it for a 3rd or 4th year without any additional cost (other than data). But as these phones age, they become less upgradable and start to have bugs and issues.​ This is why most people like to upgrade every two years or so. FYI, you can also check out this article to see how the cost of ownership with Sprint compares with other providers. Currently under contract with another carrier? Sprint has a program where they will buy out your old contract! In fact, right now you can get up to $725 in contract termination fees and other credit if you switch to Sprint. And Sprint thinks it can save you money. Sprint compares itself to the competition. The only hitch to getting reimbursed for your early termination fees is that you need to turn in your phones​ and your bill from the old carrier. In return, you will receive a gift card to cover your early termination costs. You must register for this promo within 60 days of switching to Sprint. You can check Sprint’s network coverage at Open Signal to get an idea of network coverage in your area. Personally, I borrowed a friend's Sprint phone and found that Sprint's coverage was just as good as my Verizon phone. But that is just anecdotal evidence. What I do know is that Sprint is spending a lot of money right now to improve network speeds and reliability. Sprint does not require credit checks for an early upgrade option, if you want to buy a Certified Pre-Owned phone at full retail price or bring your own device to a plan. Easy Pay and leasing/iPhone Forever will require a credit check, however, and signing up will move you to a new account. But it seems that there no credit requirements to actually sign up for Easy Pay or lease a phone through Sprint. Instead, you may have a larger down payment necessary if you a credit score of less than 640 or so. You will also be required to pay a down payment if you are purchasing a tablet and have subprime credit. Along with your credit, the down payment required will depend on the smartphone, tablet or feature phone you choose. You can use our wireless deposit calculator to find out what deposits others are making. Sprint has a real hit with their lease and upgrade forever program! I for one like the idea of switching to Sprint today, getting a new iPhone, and then getting another new iPhone this fall when the 6s and 6s Plus are launched. Sprint will pay my early termination fees if I switch. Or, if I own my phone, I can save even more on their iPhone Forever promotion. You can save a ton of money and always have the latest phone with Sprint. This is not just compared to other Sprint options. This is compared to other carriers. Sprint is making great strides in improving network speed and reliability.​ So this should not be an issue.